You are at:Home»News»Expo»Latest security technologies on show at Passenger Terminal Expo 2018! Latest security technologies on show at Passenger Terminal Expo 2018! 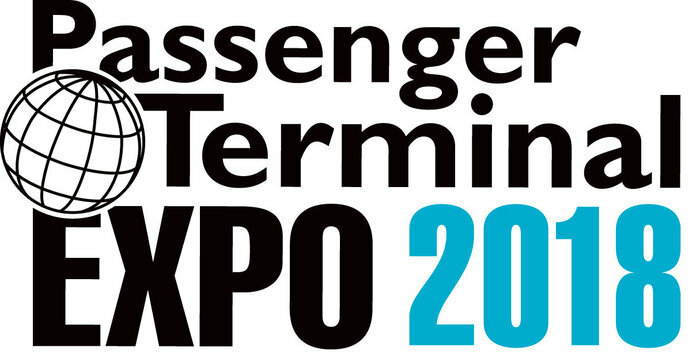 With over 270 exhibitors at the last count, this year’s Passenger Terminal EXPO in Stockholm, Sweden, March 20-22, will feature more new innovations and exciting product launches than ever before! Among the highlights will be some fascinating new security developments, including a live demonstration of Changi T4’s recently launched biometric passenger processing system, a new generation of CT scanners that eliminate the need to remove electronic devices and liquids from hand luggage, and an intelligent baggage trolley being designed to pass through the security checkpoint while providing wayfinding and retail suggestions to the passenger. The EXPO is free-to-attend – register here. Idemia will present MorphoPass, which the company describes as ‘the first biometric passenger processing solution operating in live conditions in the world’ on its stand in Stockholm in March. Currently in service at Changi Airport’s T4, MorphoPass has already helped process more than one million passengers in less than three months. Fully biometric-enabled, the system has been in use since 31 October, providing facial recognition and finger scanning. Iris scanning is set to begin later this year. MorphoPass supports the processing of all passengers arriving at and departing from Changi T4 via 66 facial recognition kits for automated self-bag drop, 18 border control gates at departure, 16 border control gates at arrival, and 50 self-boarding gates. As such, it enables biometric enrollment and body pass control, from bag drop to security, to borders and boarding gate. Visitors to Passenger Terminal EXPO will be able to trial the system first hand and learn how it can be implemented from start to finish in just nine months. Idemia will also officially launch OneLook (above), its latest non-intrusive biometric device for iris scanning and facial recognition. Depending on the specific installation, OneLook can perform an iris scan in less than three seconds and from a distance of up to one metre. Such performance ensures that by the time the passenger has walked up to the gate, their identity has already been verified. Available as a standalone unit for immigration counters or boarding gates, it can also be supplied as an OEM kit for third-party integration into kiosks and self-bag-drop stations. The latest brand-new checkpoint CT baggage scanner to join Smiths Detection’s line-up will be available for live demonstration during Passenger Terminal EXPO. The new HI-SCAN 6040 CTiX eliminates the need to remove electronic devices and liquids from hand luggage. In combination with its 0.2m/s belt speed and low false alarm rate, it has the potential to considerably reduce security checkpoint queues and improve the passenger experience. The HI-SCAN 6040 CTiX has been submitted for testing for the EDS CB C3 and TSA programmes, and upgrades are planned that will allow for the automatic detection of prohibited items such as guns and large knives. This means operators no longer need to review every image, and security checks can be sped up even further. Smiths will also present a new touchscreen virtual demonstration tool, which uses realistic graphics to enable airports to experiment with everything from passenger preparation to scanning, image analysis, software support, recheck – and even the colour of its hardware. The tool clearly illustrates the various configurations Smiths Detection can deliver to provide the security, operational efficiency and scalability necessary to keep passengers, staff and infrastructure safe from threats. Many things are ‘smart’ these days, so why not airport trolleys? Danish company Exruptive will present an ‘intelligent’ trolley and an innovative security check system. Queues at security check points are stressful for passengers, and consume time they could be spending in the duty-free area or eating and drinking. Exruptive has therefore developed a scanner and trolley combination that allows passengers to place their hand luggage in the trolley before they join the security line and then feed the whole trolley into the scanner without having to take out electronic devices. The trolley is then conveyed through a multi-energy x-ray scanner, for which proof of concept will be obtained early this year, prior to ECAC C3 certification. After security, the trolley becomes the traveller’s personal guide through duty free and to the boarding gate. A touchscreen tablet integrated into the trolley provides the passenger with real-time wayfinding, updated boarding information, personalised promotions and a recharge point for their phone. Meanwhile, it feeds back data intelligence and a unique marketing opportunity for airport operators and shops. The smart trolley offers an alternative to airport-centric apps, which remain unpopular with many passengers. Exruptive believes providing the device and the software makes passengers more likely to engage with the technology, resulting in more opportunity for targeted marketing and more source data about passenger flow and behaviour. Field tests in airports are planned for later this year, with the system ready for market in early 2019. L3 Security & Detection Systems will display its ClearScan checkpoint CT cabin baggage screener at Passenger Terminal EXPO 2018. It allows passengers to leave liquids and certain electronic items in carry-on baggage so that less time is wasted getting devices and toiletries out of and back into bags. When the screener is combined with an automated tray return system, passenger wait times can be cut down even further. The ClearScan equipment also boasts a small footprint, which makes the replacement of older x-ray systems far less of a hassle. In addition, L3 claims that the dual-energy technology delivers the highest level of explosives detection with a low false alarm rate. Visitors will be treated to a display of ClearScan and the rest of L3’s range of airport security equipment, including desktop and handheld explosives trace detectors. Cognitec will display the latest generation of its FaceVACS facial recognition technology for use in combination with airport ‘e-gates’ at Passenger Terminal EXPO 2018. FaceVACS-entry cross-checks travellers’ faces against biometric photos stored in travel documents or facial image databases, while FaceVACS-VideoScan uses facial recognition on video footage as a reliable alert mechanism for real-time events. Cognitec continues to introduce new product features to advance its face recognition technology used in e-gates for automated passport control procedures. The company’s FaceVACS-Entry product combines smart hardware for facial image acquisition with market-leading software for verification processes, and performs with reliable accuracy and speed in more than 280 e-gate installations worldwide. In addition to automating border control procedures, face recognition is gaining momentum as a reliable alert mechanism for real-time events. Cognitec’s FaceVACS-VideoScan compares faces seen by the camera to one or multiple image databases and instantly finds known individuals. Security agents can track individuals in real time, or receive alerts on mobile devices to act within the immediate vicinity of a suspect. Based on the anonymous analysis of faces seen by the camera, security staff can also receive an alarm if too many people gather in a specific area, or detect if a person does not pass through a high-security area within a required time frame. Anonymous facial analysis also allows airports to count individuals and track people movement in time and space. For example, the software measures waiting times and persons in queues, and triggers alerts to direct traffic, open counters or security lanes, or schedule more staff for high-traffic times. People counting, and breaking down count statistics by age, gender and location, provide critical insights into which areas of the airport are more attractive to travelers than others. Upgrading baggage screening hardware is a common step, but why not upgrade your staff? Aviation security specialist ICTS Europe will launch the latest version of its InnerEye threat analysis solution at Passenger Terminal EXPO 2018, designed to reduce human error among security screening staff. InnerEye is a headset with EEG capabilities that interprets visual data and uses the screener’s brainwaves to compensate for human error, thus increasing screening speed up to 15 times, all while maintaining the same accuracy as an unassisted screener. The new generation to be presented at the EXPO includes new artificial intelligence features and enhanced computer vision capabilities to further boost speed and accuracy. InnerEye is easily integrated with any standard X-ray machine, and requires no changes to the airport’s existing HBS or central checkpoint infrastructure. ICTS will also present its new training app, ‘Aware’, which has been designed to introduce non-security staff to the principles of security, so that they may become active participants in the effort to prevent attacks in and around the airport. It can be easily accessed on any phone, tablet or PC and guides employees in how to spot and report suspicious people, objects or situations. SureScan will present its x1000 baggage screening machine – the ﬁrst and only TSA 7.2-certiﬁed and ECAC 3.1-approved multi-energy stationary gantry explosive detection system (EDS) for airport baggage screening. The x1000 uses a stationary gantry with an upgradeable belt for better reliability and future-proofing. Using multi-energy photon counting, it also boasts a low false alarm rate and a high level of accuracy in detecting current and emerging threats, including home-made explosives. What if airport security managers could upgrade the capabilities of their security technology as quickly as they download mobile apps to their smartphones? And what if software developers could add new capabilities for security technology – just like there are thousands of developers creating software apps every day for Android and iOS devices? At Passenger Terminal EXPO this March, Analogic will present its new aviation checkpoint security system, ConneCT, which offers the first ‘smartphone age’ software platform for better security and faster passenger throughput. Analogic, a leader in medical and security CT imaging, claims it was the first company to launch an airport checkpoint system using CT technology. It has now applied advances in medical CT imaging and innovations from smartphone technology to launch the ConneCT aviation checkpoint solution. Designed for high-speed inspection of cabin baggage, ConneCT provides a 360°, 3D view of a bag’s contents. It offers higher resolution than traditional 2D X-ray and allows operators to digitally ‘unpack’ a bag – without physically opening it. But one of the most innovative aspects of the ConneCT, compared to other checkpoint CT systems, is its smartphone-like touchscreen interface and interoperable network architecture. The touchscreen interface makes it easy for operators to zoom, rotate and analyze images quickly. The ConneCT’s network architecture supports a non-proprietary data and image sharing standard that allows customers and software vendors to develop applications to enhance ConneCT. With ConneCT, for example, a customer can develop their own remote image analysis solution, a customized threat detection algorithm, or software for remote maintenance monitoring. The ConneCT scanner uses CT technology, rather than traditional X-ray, which allows it to provide a 360-degree, 3D view of a bag’s contents. In combination with the large touch screen display, operators can digitally ‘unpack’ a bag by zooming and rotating the image. Nevertheless, despite all the high tech, the ConneCT has a small footprint, which makes it easy to install in existing checkpoint spaces, including smart lane and remote screening systems. Another benefit of modern ‘smart’ devices is their breadth of ability thanks to third party applications. The ConneCT’s flexible architecture allows external software developers or customers themselves to develop additional capabilities such as a remote image analysis solution, a customized threat detection algorithm or software for remote maintenance monitoring. Discover the ConneCT for yourself on Analogic’s stand at Passenger Terminal EXPO 2018. CQRTS will bring updated versions of its security scanning trays and accompanying dispenser trolleys to Passenger Terminal EXPO 2018. Larger models of the trays are now made from a new formulation of injection-moulded plastic, which does not develop white spots when stressed by impacts. This means fewer delays due to scanners returning false positives caused by spots. All trays continue to feature CQRTS’s signature antimicrobial agent that protects travellers and staff against a host of pathogenic bacteria throughout the tray’s life. Some tray models also feature a patented rubber strip to locate them more securely on the conveyor belt and to reduce noise levels. In addition, the trolleys, which can transport up to 60 trays from one end of the security checkpoint to the other, have been redesigned with eight ball bearings. The new design ensures smooth and fault-free movement of the cradle mechanism that holds the trays. Finally, CQRTS is moving its production to Norway from China to be able to safeguard quality in the future. Security has never been more important, particularly at airports, where millions of passengers and visitors pass through each day. As the need for vigilance and checking is rising, so are the numbers of passengers and items of baggage that must be screened and safely transported. Habasit will present its range of quality, energy-saving conveyor belts for airport baggage handling, screening and detection. To create an effective operation, baggage must be transported on a surface that maintains visibility for even the most detailed automated inspection. To meet this requirement, Habasit’s engineers have developed specific solutions for security applications using thermoplastic polyurethane (TPU) belts, which feature zero detection interference for all methods of baggage screening, including side and base imaging perspectives. The non-slip surface of Habasit belts provides a secure hold for each piece of luggage as it moves through the system. The company’s low-density belts, developed using an exclusive production technology, remain imperceptible to scanners. This ensures optimal x-ray visibility and enhanced security, along with top reliability. And don’t forget – the Passenger Terminal CONFERENCE will feature a dedicated Aviation Security, Border Control & Facilitation track running the full three days of the event, with leading speakers including Mara Winn, manager of strategic planning and coordination and business process management within the Innovation Task Force at TSA; and Philip Bamber, assistant VP airport security, Hamad International Airport, Qatar. Click here to see the full conference program and to apply for your delegate pass (rates apply).